Wazdan is one of the most active slot developers at the moment, and they are doing a great job with publishing new titles and expanding the scope of their business. According to the official press release that European Gaming Median and Events published, Wazdan’s games will become a part of the online casino VideoSlots.com. They will ink a content supply deal soon, and the users of the casino will be able to enjoy all games published by Wazdan. VideoSlots is a domain that Panda Media Ltd owns has a policy which aims to provide the users with the best slots from some of the most trusted providers in the industry. At the moment, they have more than 3,000 slot titles in their offer, but that is likely to expand as Wazdan may not be the only slot provider that they will sign in the near future. VideoSlots.com has three licenses – Curacao, the United Kingdom Gambling Commission, and the Malta Gaming Authority. They have also recently signed a couple of deals with companies such as Evolution Gaming Limited, Habanero Systems BV, and Spigo APS. They said that such deals help them extend their portfolio of video slots and other games. Right now, they are considered the most varied online casino platform in terms of the games that they offer at the moment. They certainly plan to keep that title for a long time. The platform was launched back in 2011 with the idea to offer the biggest selection of video slots on the Internet. 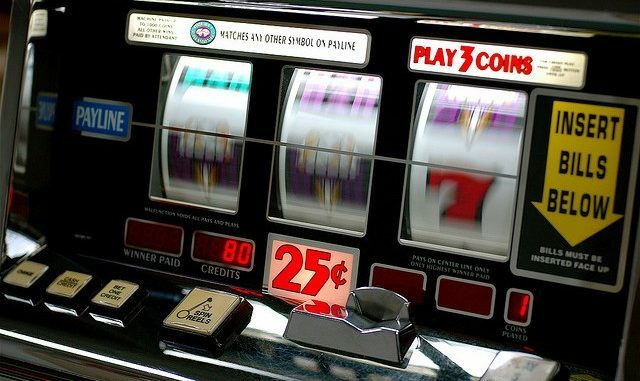 Furthermore, it has some unique promotional concepts such as Casino Races and Battle of the Slots that can bring some lucrative rewards to the users who like spending time on that platform. William Ahlberg is the Head of Games at VideoSlots.com, and he stated that the games made by Wazdan all met the high standards with their impressive graphics and great sounds. Furthermore, Ahlberg said that it was an honor to cooperate with Wazdan as they are currently making some of the most entertaining video slots and other casino games on the market. He added that it was very important for his company to always expand their offer of games and stay ahead of the competition with it. This was the reason why they signed Wazan in the first place. Wazdan is a casino game development company which is currently regulated by the Malta Gaming Authority, as well as the United Kingdom Gambling Commission. Their portfolio contains more than 100 video slots, and some of the titles worth mentioning here are Fruit Fiesta, Los Muertos, and Wild Girls. The Sales Manager of Wazdan David Mann expressed his gratitude towards becoming a part of what he claimed to be the “world’s largest online casino.” He added that it was very important for Wazdan to enter the second quarter with such an important integration and that they had achieved their goals when they decided to collaborate with VideoSlots.com.